3. Display - 5.5" IGZO FHD screen, brightness, contrast, color temperature, sRGB coverage, etc. 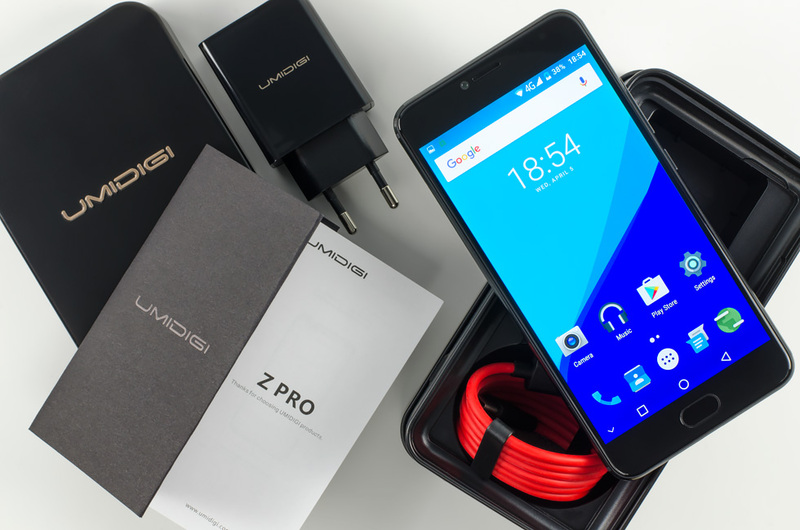 UMIDIGI Z Pro is the first officially released UMi smartphone with the new brand - UMIDIGI. It was announced and launched shortly after the UMi Z. Both devices are almost identical and are the first to pack MediaTek's Helio X27 chipset. The only difference between them is in the color and the primary camera. 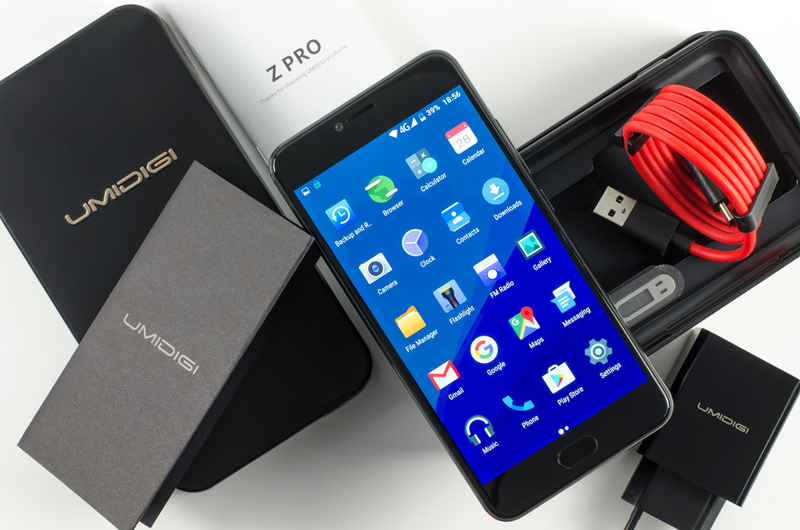 While UMi Z is available in gray and gold, the Z Pro arrives in prime black only. For its primary camera, UMi Z utilizes a 13MP Samsung S5K3L8 sensor, which is used in its front camera as well. At the same time, UMIDIGI Z Pro has a dual rear camera setup with both cameras being equipped with a 13MP Sony IMX258 sensor. With this model, the manufacturer enters the dual-camera battle a bit late, but what is more important is whether it has succeeded in creating a meaningful product with real value for the users. In this review, we will focus on the camera of the Z Pro, for sure, but we will take into account all other aspects of the model, including design, display, software, connectivity, performance, audio, and battery. UMIDIGI Z Pro features a 5.5-inch IGZO display from Sharp with an FHD LTPS panel. It covers 95% of the NTSC color space and is protected by a 2.5D curved Dragontrail glass. Under its metal hood ticks a MediaTek Helio X27 (MT6797X) chipset with a deca-core CPU. More specifically, it includes two 2.6GHz Cortex-A72 cores, four 2GHz Cortex-A53 cores and another four of those, but clocked at 1.6GHz. The CPU is coupled with an 875MHz quad-core Mali-T880 MP4 GPU and 4GB of LPDDR3 RAM, which is double-channel and clocked at 800MHz. The eMMC 5.1 storage (Samsung) measures 32GB and can be expanded with up to 256GB. The smartphone is equipped with two rear cameras. Both have a 13-megapixel Sony IMX258 sensor with a 6-element lens, but the first one shoots in color, while the second one - in black and white. Their work is aided by a quad-LED flash, advanced hybrid AF and PDAF. The front-facing shooter packs a 13-megapixel Samsung S5K3L8 ISOCELL sensor and a selfie softlight. There's a fingerprint sensor from Microarray embedded in the home button. The device supports 2G GSM (850, 900, 1800, and 1900 MHz), 3G WCDMA (900 and 2100 MHz), and 4G LTE-FDD (800, 1800, 2100, and 2600 MHz) networks along with dual-band Wi-Fi 802.11 a/b/g/n, Bluetooth 4.1, Wi-Fi Direct, Wi-Fi Hotspot, Cast display, etc. The model works with both GPS and GLONASS and has a USB Type-C 2.0 port with OTG support. Power is supplied by a 3780 mAh Li-Pol battery from Sony, which is non-removable. It arrives with a fast charger and supports MediaTek Pump Express Plus. Here are the full UMIDIGI Z Pro specifications. 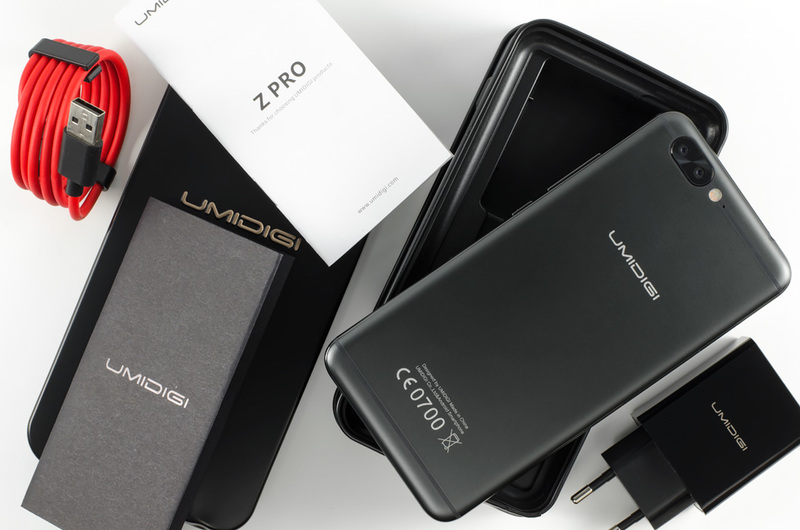 UMIDIGI Z Pro arrives in a black metal box that follows the outline of the device itself. This model is the first to come out with the new brand of the company, so the UMIDIGI logo appears on the lid of the box. On the bottom, there's information about the basic specifications and certifications of the device. The smartphone lies in the top level compartment and below it, you will see a USB Type-C cable in red color, a fast charger with the UMIDIGI logo on it, a SIM tray pin, and standard documentation.